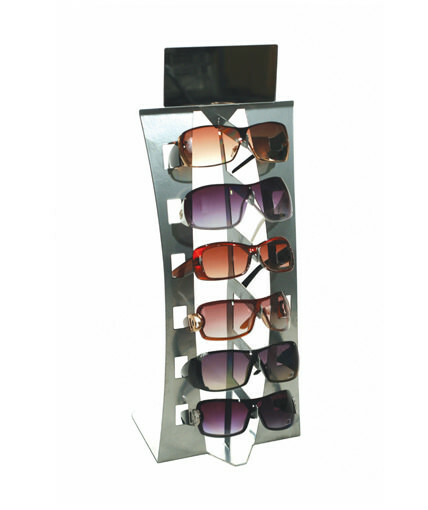 Our SU-12XY sunglass display is a larger version of the SU-6X retail sunglass fixture. 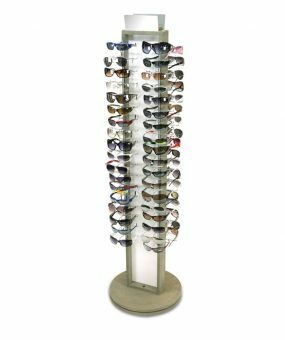 This single-sided tabletop sunglass display holds 12 glasses in a 2-row configuration to give you greater retail counter presence and drive more impulse sunglass sales. 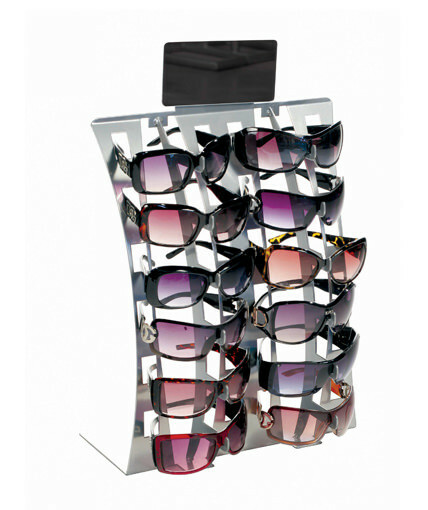 Its tasteful contoured sheet metal frame is precision-crafted and designed to make your sunglasses stand out. The display has a shiny silver powder coated finish and comes with an acrylic mirror. Like the SU-6X, this tabletop sunglass display was engineered to next 4 displays to a box, which dramatically reduces shipping costs. The SU-12XY is a time-tested and timeless eyewear display that can be used for any style of sunglasses and also for reading glasses. 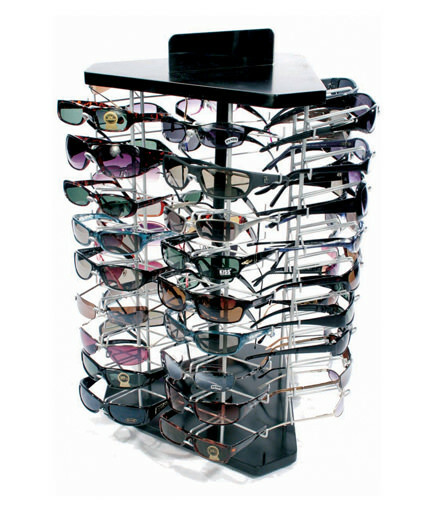 We have included this display in our line of countertop sunglass rack for many years. Not only has it stood the test of time, but its simple design is timeless and will withstand the ever-changing world of sunglass fashion. Larger frames. Smaller frames. Decorative temples. No matter what designs are trending, the SU-12XY is ready to roll. The SU-12XY can increase the perceived value of your eyewear product. 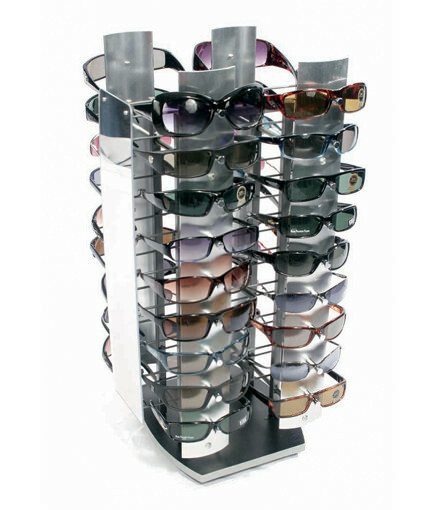 It invites shopper engagement, particularly compared to a more inaccessible locking sunglass display case. 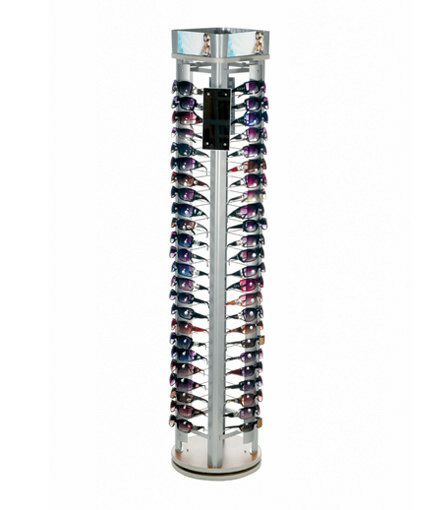 It will always look good since it is designed to make it easy for shoppers to put the glasses back on the display without the glasses tilting or looking sloppy. One of the best things about the SU-12Xy is its ability to fit into almost any retail environment- from convenience stores, golf shops, truck stops, gift shops, and apparel stores to dollar stores, sporting good stores, souvenir shops, and specialty stores. Not only is its designed to make sunglasses pop, but its sheet metal frame is highly durable and capable of withstanding years of abuse at retail. 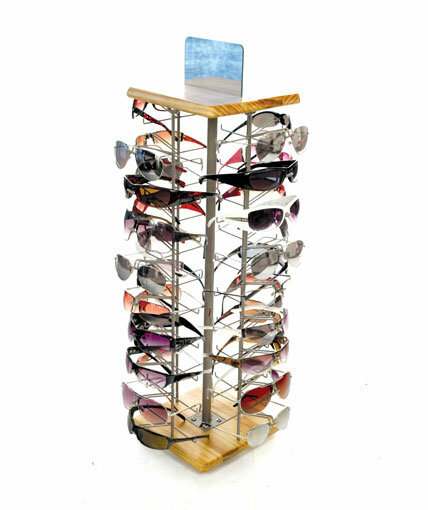 If you are looking for a bullet-proof table top sunglass display, the SU-12XY is a sure bet.